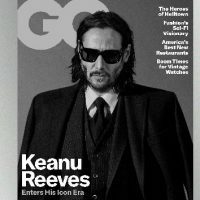 Photo: Daniel Jackson for GQ(LOS ANGELES) — Keanu Reeves has gone through a third career change-up, thanks to his midlife turn as unstoppable hitman John Wick — and he says he has no intention of hanging up that character’s multiple guns. In case you’re keeping track, some thought the former star of the Bill & Teds movies could never pivot to action movies, before 1994’s Speed proved them wrong. They also believed that he’d never star in another franchise again — but the blockbuster Matrix trilogy proved them wrong again.